Restored 1970 Honda C70 Motorcycle. This little step-through was extensively restored. 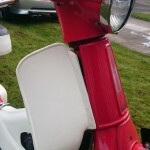 A new seat unit was fitted. New genuine Honda wheels were installed. 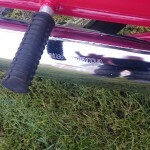 The exhaust was replaced with a new genuine item. A new replacement legshield was fitted. New Honda side panels were used. The ignition was replaced with a new Honda unit. A new horn and air pipe was fitted. The engine was fully stripped and vapour blasted. The engine was modified with a 4 speed gear box and a big valve head and barrel. 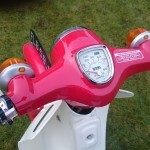 The side covers were powder coated silver. A great little Honda C50 Motorcycle. 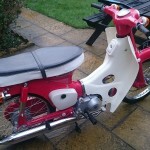 Honda C50 – 1970 For Sale or Wanted? 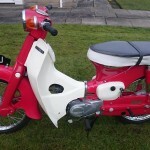 If you're looking for the perfect Honda C50 – 1970 for sale then take a look at the hundreds of restored classic motorcycles listed on our extensive Motorcycles For Sale pages. 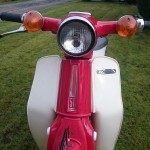 We regularly feature very nice restored Honda C50 – 1970 bikes for sale. 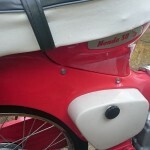 Spares and Parts for your Honda C50 – 1970? Workshop Manual for your Honda C50 – 1970? Hi Mike, no sorry we do not have any information on this one. I have a similar bike I would like to restore. Do you have any information on WHO restored this particular bike?? Thanks!! 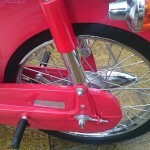 Hi Gavan, we’re an enthusiast website displaying photos and stories of some wonderful bike restorations. 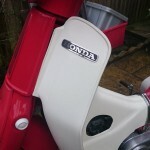 Hi Linda, we’re an enthusiast website displaying photos and stories of some wonderful bike restorations.